This time everything was running sweet until I had the Greddy Profec boost controller installed just yesterday. First issue is, even with the boost controller switched off, I am still seeing 10.2-11.2psi boost. I don't know what my base wastegate pressure was set to, but surely it the installer did not set it this high. 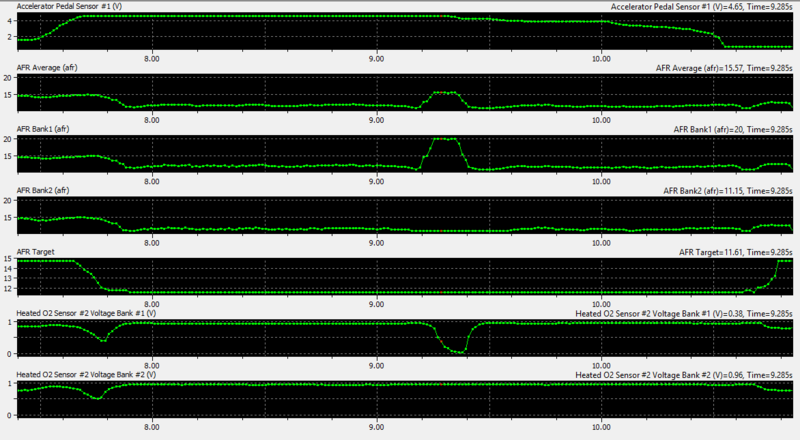 Second issue, after the boost controller was installed, I am getting a lean spike on the Bank 1 AFR graph mid-way through a WOT pull. Please see image below.